some of the mysteries of the night sky as well as discover more about the daytime sky. 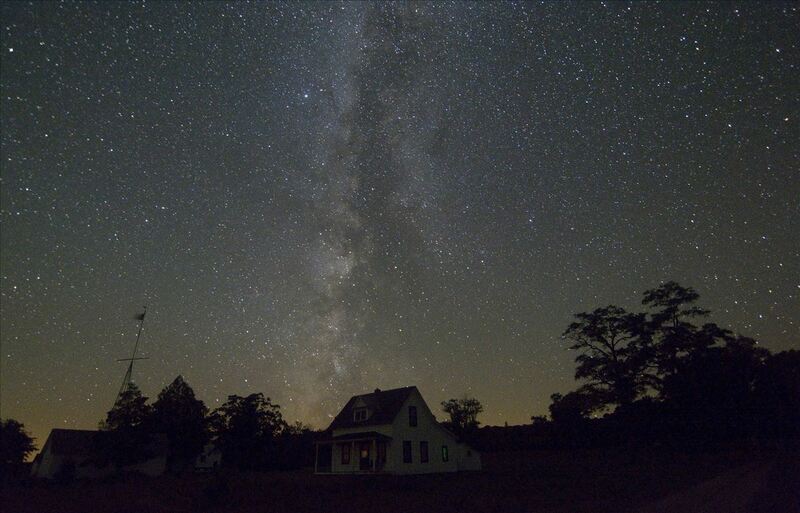 Celebrate the last day of the Port Oneida Fair with a dual Star Party event. Finish off your afternoon with a solar viewing and then come back after dinner for a Star Party treat. Observe the beautiful summer night sky constellations, Saturn, and possibly a few bright Perseid meteors. The Perseid meteor shower is one of the very best showers to observe and this evening will be the day before the peak. The events will be cancelled for inclement weather or if the stars are not visible due to cloudy weather conditions. The decision to cancel will be made two hours in advance of the event; please call 231-326- 4700, ext. 5005, for a voicemail message with the decision. All programs offered by the National Lakeshore are free. Participants need only purchase the Park Entrance Pass or have an Annual Pass displayed in their vehicle to join in the fun. Passes may be purchased at the Philip A. Hart Visitor Center in Empire and cost $20 per vehicle for seven days. Visitors are encouraged to bring a red filtered flashlight (white light will spoil your night vision) for the walk back to their cars. Visitors may also want to bring binoculars, beach chairs, blankets, bug spray and water.